Galadrielle Allman went to her first concert as an infant in diapers, held in her teenage mother’s arms. Playing was her father - Duane Allman, who would become one of the most influential and sought-after musicians of his time. Just a few short years into his remarkable career, he was killed in a motorcycle accident at the age of 24. His daughter was two years old. Galadrielle was raised in the shadow of his loss and his fame. It took her many years to accept that his life and his legacy were hers, and when she did, she began to ask for stories - from family, fellow musicians, friends - and they began to flow. 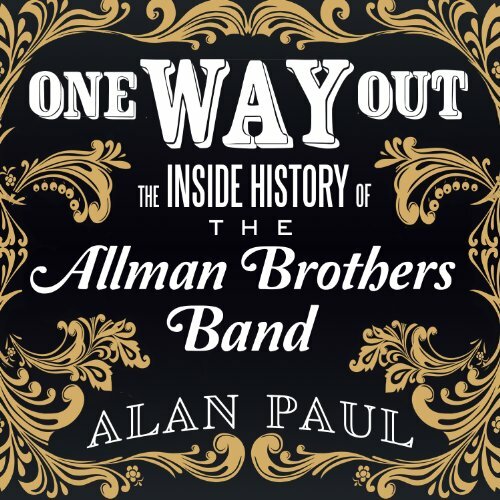 One Way Out is the powerful biography of the Allman Brothers Band, an oral history written with the band's participation and filled with original, never-before-published interviews as well as personal letters and correspondence. This is the most in-depth look at a legendary American rock band that has meant so much to so many for so long. For 25 years, Alan Paul has covered the Allman Brothers Band, conducting hundreds of interviews, riding the buses with them, attending rehearsals and countless shows. 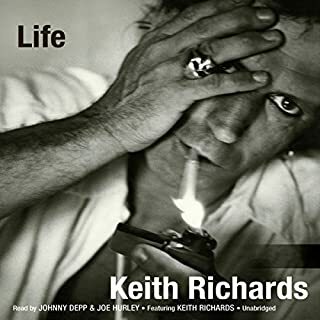 He has interviewed every living band member for this book as well as managers, roadies, and contemporaries, including Gregg Allman, Dickey Betts, Jaimoe, Butch Trucks, Warren Haynes, Derek Trucks, Oteil Burbridge, the late Allen Woody, Jimmy Herring, Eric Clapton, Bob Weir, and many others. Tracking the band's career from their 1969 formation to today, One Way Out is filled with musical and cultural insights, riveting tales of sometimes violent personality conflicts and betrayals, drug and alcohol use, murder allegations and exoneration, tragic early deaths, road stories, and much more, including the most in-depth look at the acrimonious 2000 parting with founding guitarist Dickey Betts and behind-the-scenes information on the recording of At Fillmore East, "Layla", Eat a Peach, Brothers and Sisters, and other classic albums. This book is great. I never was a huge Allman Brothers fan...but I do respect the music they have created. And this book gave me the inside look...on the great person and musician Duane was. And how difficult Dickey Betts still seems to be. I could sing “Rambling Man” word for word in perfect harmony as long as it was blasting louder than me on the car speakers and I could sail through the guitar riffs every bit as good as Dickey Betts as long as I was on my air guitar. But before I read this book the only other song I could even give you the name of was “Jessica”; so I would hardly call myself a fan. None-the-less by the time I finished this book I had already downloaded “The Allman Brothers (Live) at Fillmore East” and searched the internet to find the bootleg “Gatlinburg Tapes.” Such is the effect of this book that chronicles the life of the Allman Brothers Band; a fun and informative read that gives you an inside look at the band that at one point was the biggest rock n’ roll band in the country. Alan Paul is obviously a competent writer. Myself, having a tin ear for music and never being in a band, was still able to clearly understand from his writing how this band played off and with each other in a set; how they complemented each other and how they pushed each other through the playing of their instruments. I was able to see how the band functioned musically. That was a little gem for me as I never felt like I had this kind of visibility into a band before. And even though Paul is a skilled writer, he left a great part of the book to excerpts from interviews with the band members and affiliates written in script like format. He’ll take an event and let different people give their take on it. Whether it’s the point of view of band members, crew members, members of other bands, friends, managers, wives, etc. It sort of parallels how the Allman brothers played; just let everybody pitch in their “voices” and let the piece develop organically. Since everybody involved in the various events is giving their two cents on it, it’s hard to believe that there could possibly be a more informative and comprehensive book on the band. The down side to this style of writing, and why I gave it four instead of five stars, is that while I got a general picture of the band members, I didn’t get that deep character study that can make a book really stick with you. I love books that spend pages and pages describing a person, going deep into their history, and presenting their lives in a way that gives you a crisp and vivid image of them in your mind. You feel like you can see this person and you understand them better than you understand people you actually know and interact with. This may not be that big of a downside in itself if it weren’t for that fact that Duane Allman was obviously such an amazing human being. I feel like I could read an entire book just on what makes up a guy like that. 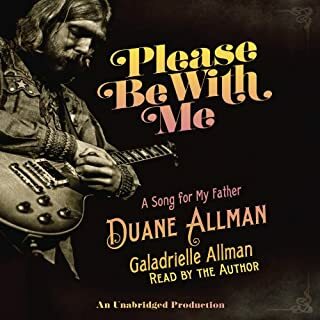 I know there is at least one book solely about Duane, and I may read it, but if I was going to call a book “definitive”, it would need to include that sort of depth on a person as exceptional as Duane Allman. Now when I listen to Rambling Man I put away the air guitar, turn off the imaginary microphone, and listen to the song; I mean really listen to it. I listen to the dual drums, the dual guitars, the keyboard and how they all play together to bring this fire to the music. Now that I know so much about the band, it’s so much more than just a fun song. Dan John Miller was excellent and nailed the narration with his friendly southern accent. Whether you’re a long time Allman Brothers fan or just interested in hearing a story about a rock n’ roll band you will be able to enjoy this story. Would you listen to One Way Out again? Why? Probably not. This account was not especially insightful. What with my love of music: YES. I was astounded by the band's continuous battles. Uniquely written by quoting the actual participants in the true life story of the Allman Btothers Band. 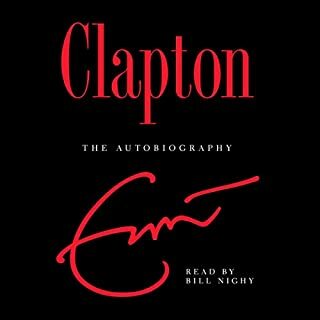 A must read for anyone who enjoys their music. What did you like best about One Way Out? What did you like least? I learned a little about the Allman Brothers Band. I could not follow who was who from the reading. Would you be willing to try another book from Alan Paul? Why or why not? Probably not unless I knew more about the subject before reading the book. A movie would have been better than the reading of the book. I might go see it because I loved the movie "Almost Famous" and the beginning of this book reminded me of that movie. I am not a fan or dislike The Allman Brothers Band. I have heard their music and I was interested in knowing more about the band itself. This book was good for getting some of the history behind the band for someone who knows nothing about them, but I would not recommend it to others like myself. The author/reader writes/reads from each band member's POV. That is not a bad thing, if you know a little bit about the people. I had no clue who played what instrument or who was management/road crew before listening. The book did not help because the book introduces them and then quickly goes to another subject. So it might say something like, "So and so, the bassist from 1991-1993, says _____ about Greg Allman". Then 30 minutes after hearing about all the other instances of other things, it comes back to So-So (not reintroducing them at least a 2nd or 3rd time, so I could get my barrings about who is who). It was really hard at the beginning because they introduced so many band members/other characters at that point. It took me a 3rd of the book later to realize that Jay-mo played the drums. I did not realize until the end that Trux played the drums also. I thought that he played the bass. It was interesting to learn the story, but I would like to know who was talking and what their relevence was to band. Introducing the characters more than once would have helped. I hate to beat a dead horse, but I am going to. The reader never changed his voice for different people (except Jay-mo). If you are going to read a book that keeps going from character to character, you need either more people or someone that can change their voice a little. There were times that I did not realize that another person was giving his point of view about the same subject. I could not tell you who said what. By the end of the book, I kept listening just to finish it. I have listened other books in the same format. And maybe I knew a little more about the subjects for those books, but they did have multiple people read and reintroduced the characters. It helped a lot. 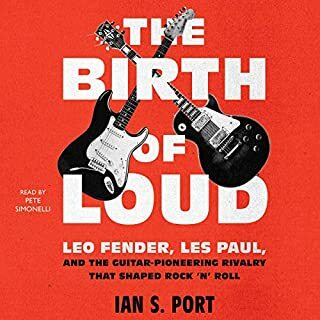 If you know about the history of the ABB or go to their concerns or listen to their music regularly or grew-up listening to them and know who played what, then you may like this book. 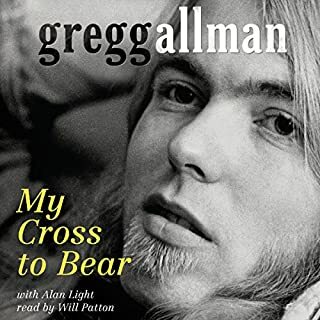 If you were like me and only knew that Duane Allman started a band and included his brother, Greg. Hell, I thought that the 2 brothers started the band and Greg was leader after Duane died. So, I did learn a little about the history. But if that is all you know, do not listen to this book because you will get confused and the stories will just ramble on like a "Rambling Man". Unique way to capture the thoughts of the people who were there for the long history of the Allman Brothers band. This is a nice history of the band's many incarnations and challenges and triumphs over adversity to achieve longevity and greatness. But don't expect any emotion or intrigue, just the facts ma'am. 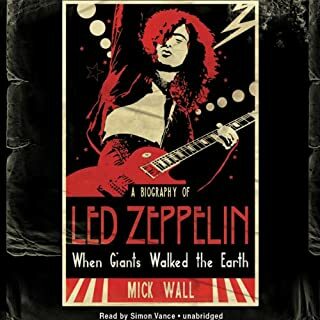 Great book - helped me learn a lot about the band that I never really knew from just listening to the greatest hits. Listen to as much music as possible while reading/listening to this - definitely opened my ears to their back catalogue and rare tracks but also all the other bands associated with the ABB.